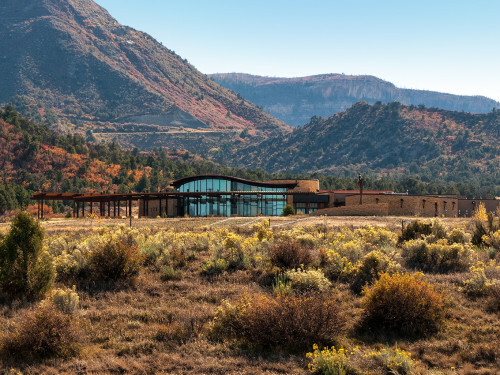 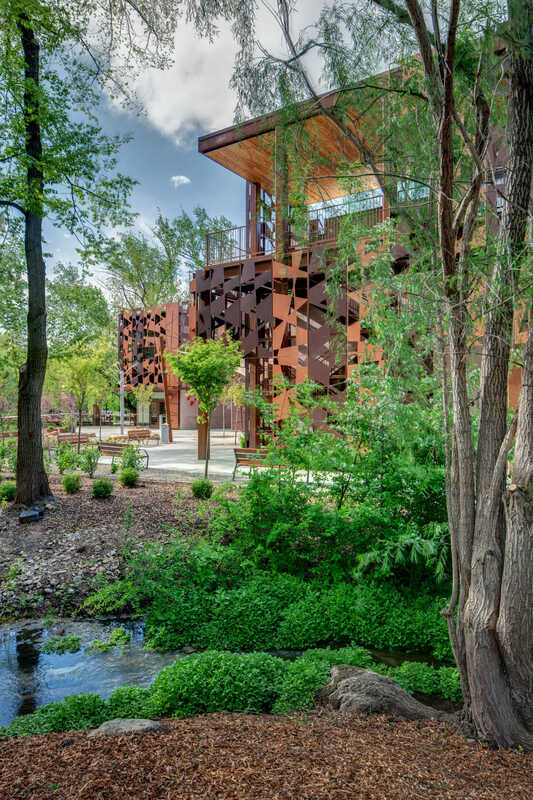 The Visitors Center’s plan is a gentle ‘Z’ form, weaving the building and visitor circulation through art, trees, and the Pelican Pond. 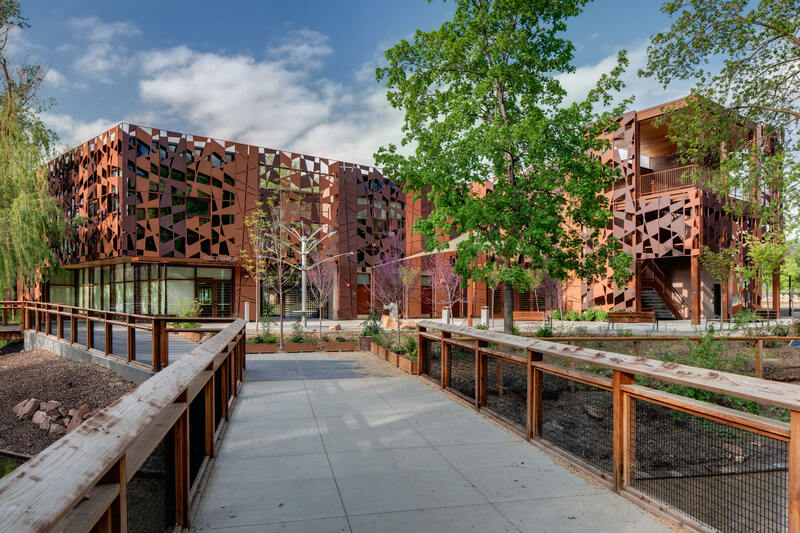 Two ‘L’ shaped building ‘wings’ form this ‘Z’, and dynamically embrace an Entry Plaza on the north side of the building, and an Orientation Plaza to the south. 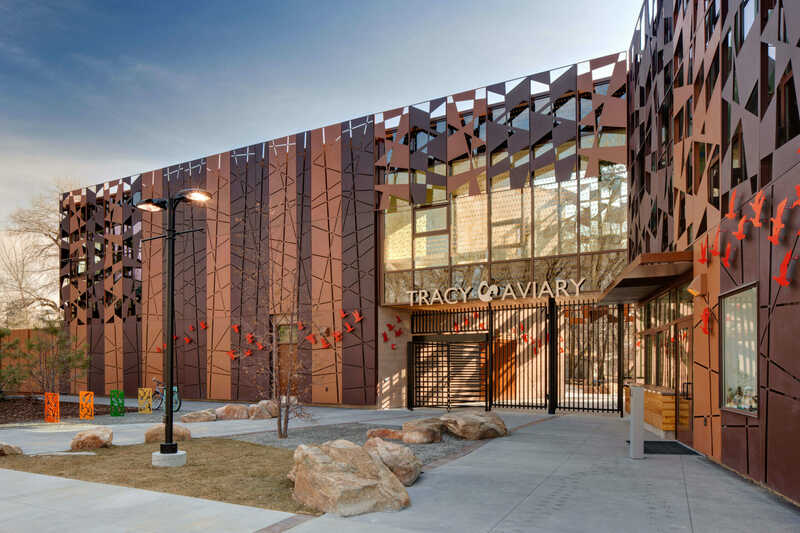 The unique design incorporates vibrant new entry facilities, multipurpose areas, a gift shop, and office space for Aviary staff. 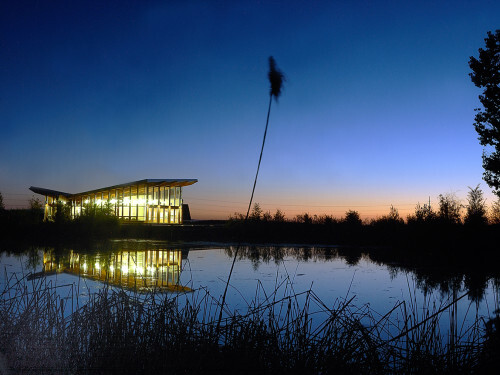 Green Building strategies include reduced energy consumption provided by a photovoltaic solar array on the roof, energy-efficient building systems which are 36% more efficient than a “baseline” building, extensive use of locally sourced and recycled materials, use of low-emitting products such as paint, adhesives, and flooring. 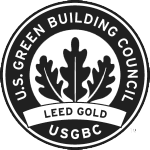 In addition, 75% of construction waste was recycled. 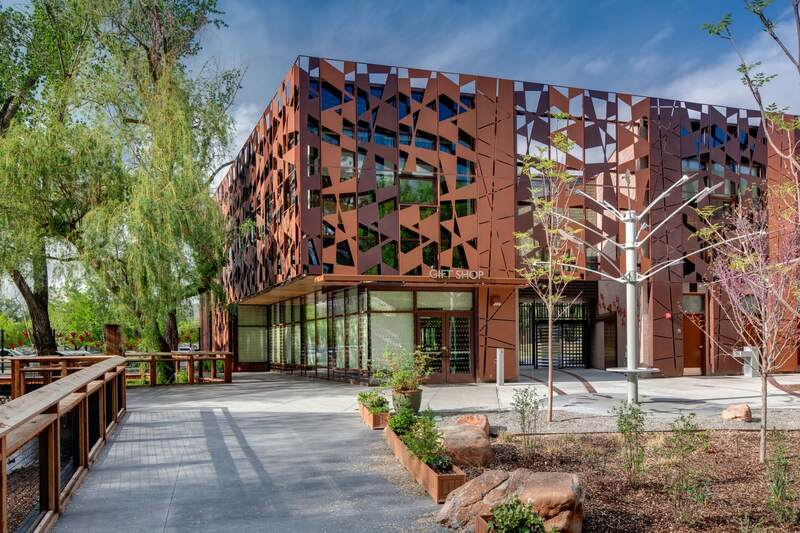 One of the buildings most notable features is the patterned metal facade that forms its skin. 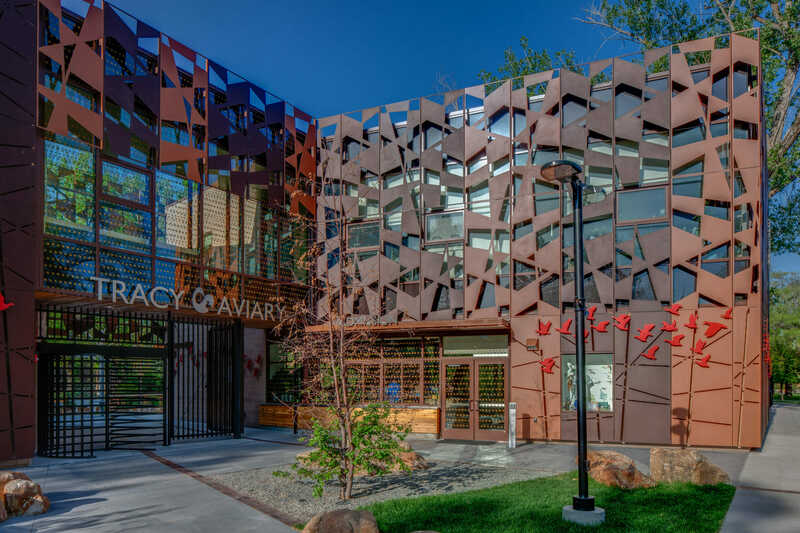 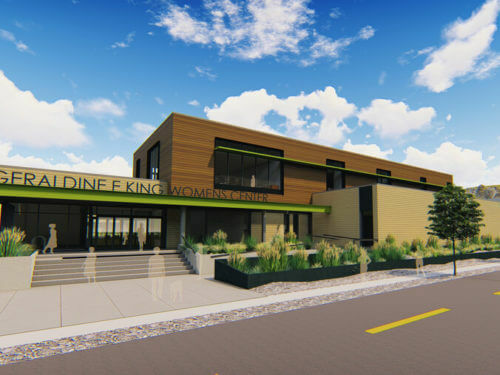 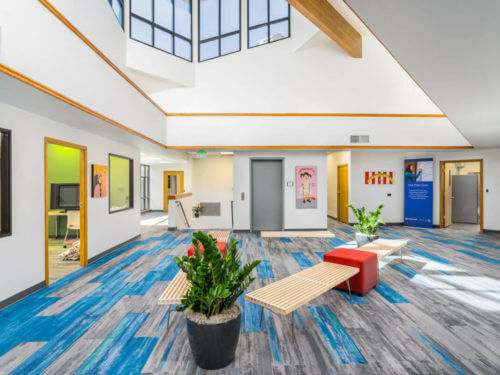 Drawing on the inspiration of the trees as well as the Aviary’s education mission, the building incorporates a patterned facade that embodies both function and the aesthetics of trees. 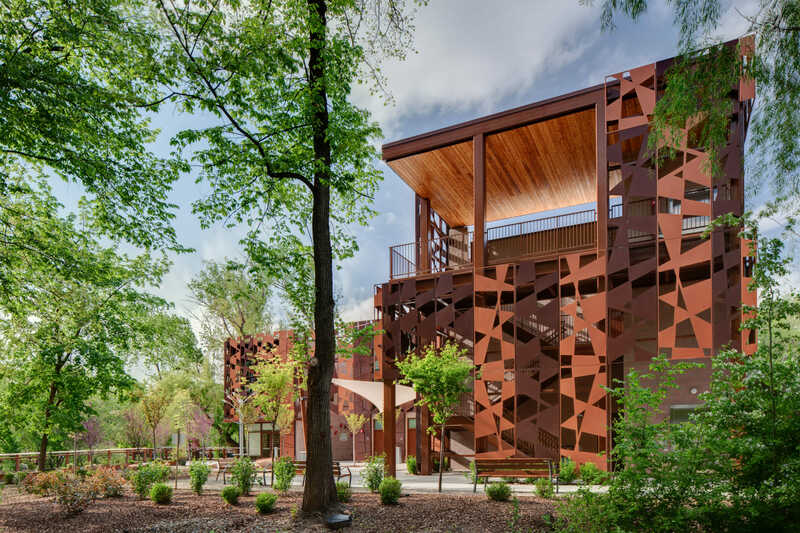 Developed in a collaborative effort between ajc Architects, Big D Construction and Noorda Architectural metals, the system of custom metal panels incorporates an abstract pattern that suggests a tree canopy and branches, while evoking a sense of motion such as birds in flight, or fluttering leaves.